Ep. 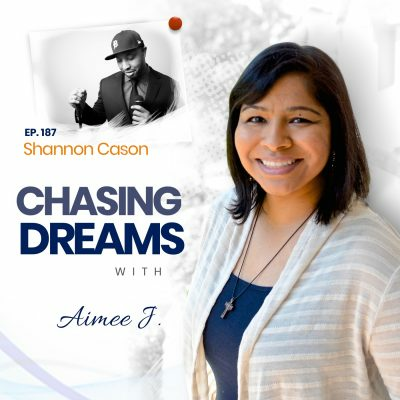 40: Sabrina Johnson Turner – A Modern Day Carmen Sandiego | Aimee J. For Sabrina Johnson Turner, an interest in travel came early. Her independence and refusal to stay in the corner have translated into a fervor for travel and experiencing everything life has to offer. 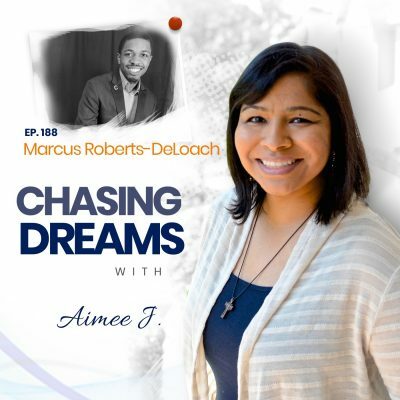 In this chat with Aimee J., Sabrina discusses her path to becoming a lawyer, her original plans for the future, and how she caught the travel bug. From finding ways to save big on flights around the world to staying true to the things that make her truly happy, it’s clear Sabrina has figured out how to blaze her own trail and live a life she loves. Allowing your passions to dictate your path. Sabrina’s plans for the future evolved significantly during college and she explains how she found her true calling in life. From an early age, Sabrina wanted to design video games. But, during college she realized this wasn’t the path for her. While it’s clear Sabrina has the aptitude and intelligence for this career, she simply didn’t love it. She discusses the decision to study law and how she ended up finding her true passion in life. Sabrina also shares made her want to study law in the first place and how she ended up landing her dream job. A dream job checklist – landing the perfect job. For Sabrina, the decision to study law was simple: it was something that interested her, so she decided to study it. During law school, she fell in love with the law and knew this was where she belonged. Sabrina discusses the process of finishing law school as well as the grueling process of studying for (and passing) the bar exam. She goes on to offer insight into the jobs she had after law school and how she ended up landing her dream job just 2 years after passing the bar. How a #DreamJob #checklist could help you land the perfect job. Now that she had the perfect job, it was time for Sabrina to discover her other passion: travel. She discusses how travel had been a part of her life early on – in the form of European travel during high school. Sabrina also shares the pivotal moment in her life that made travel a must from that point forward. Today, she travels around the world and enjoys the flexibility to do so through a job she absolutely loves. Sabrina also shares a few tips and tricks that make global travel not only possible, but also affordable. It’s only a dream until you do it. As they close out their chat, Sabrina and Aimee discuss some new opportunities that will make travel even easier for Sabrina. Sabrina offers insight into the role of flexibility in being able to travel the world, even on a budget. She also talks about why she still works 2 jobs today – one job as a trial attorney for an insurance company and the other as a group fitness instructor. In closing, Sabrina offers some big advice for fellow dream chasers: it’s only a dream until you do it. 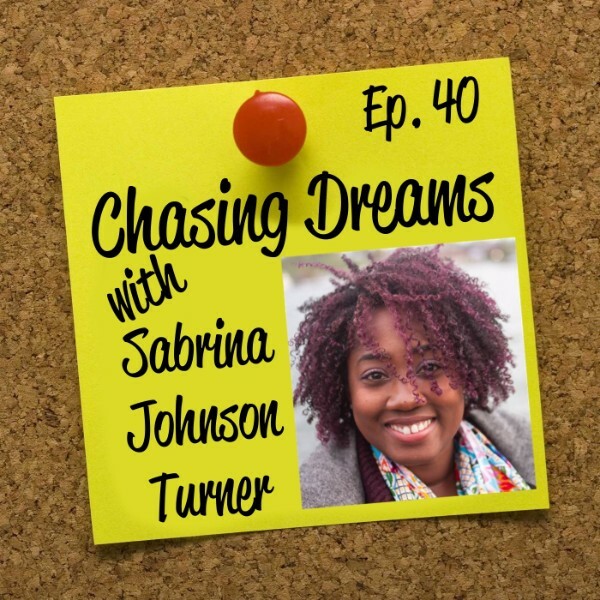 It’s clear Sabrina is a dream chaser through and through, and this chat will inspire you to “just do it” – whatever it is that makes you happy. [0:57] Introduction of Sabrina Johnson Turner. [2:14] Sabrina discusses her recent travels. [3:20] The work Sabrina does now. [3:44] What did you originally want to do with your life? [7:24] Sabrina and Amy discuss the bar exam and the preparation process. [10:57] The jobs Sabrina has had since law school. [13:13] What was your dream job checklist when you were leaving law school? [16:42] How long after you passed the bar did you find this dream job? [18:11] What area of law did you think you’d practice in when you finished law school? [19:58] The role of networking in landing the right job. [21:59] They discuss why Sabrina is known as “Sabrina San Diego”. [27:25] Catching the travel bug. [30:11] The importance of finding affordable flights in order to travel so much. [33:38] Sabrina discusses an amazing opportunity that has recently crossed her path. [36:36] One piece of advice for fellow dream chasers. Just do it. Whatever it is you want to do, just go out and do it. It’s only a dream until you do it; it can become your life.